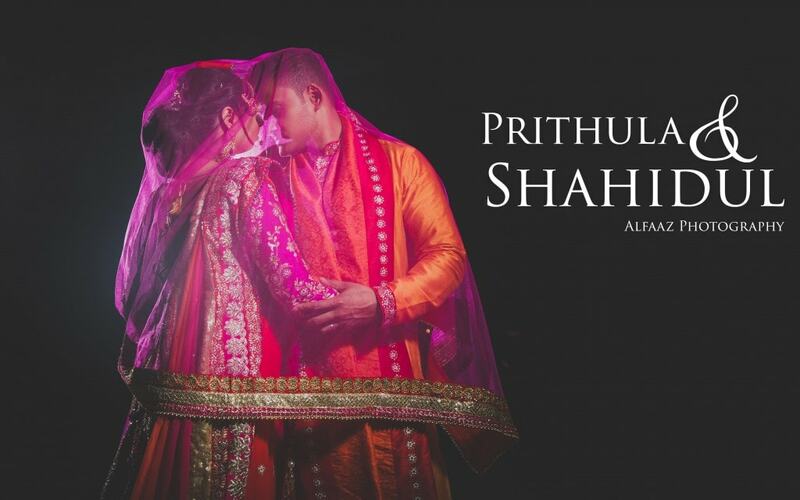 A real Jodha-Akbar – This is how Prithula and Shahidul looked for their pre-wedding event. 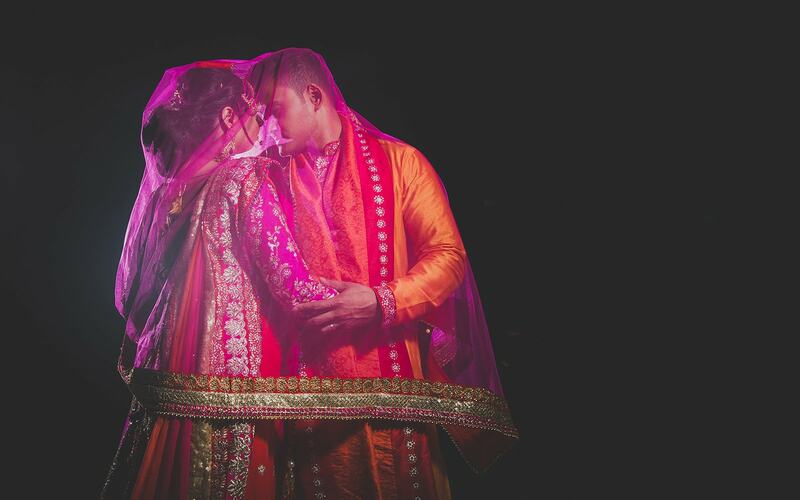 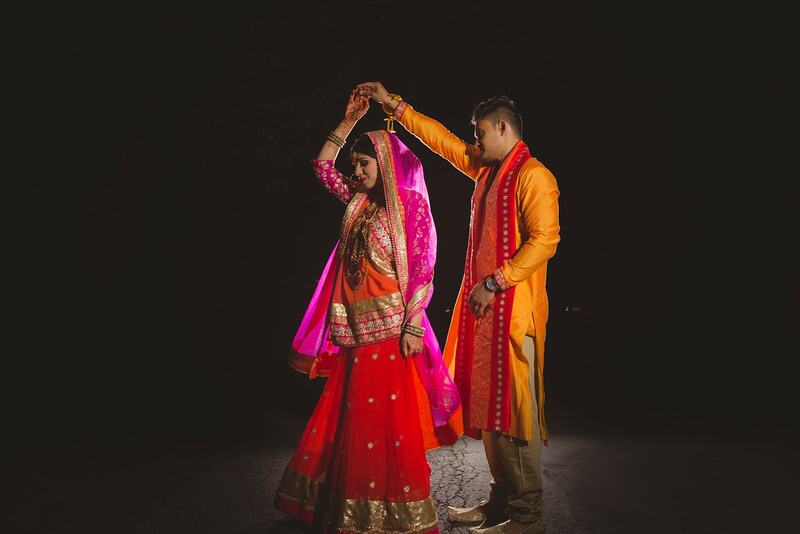 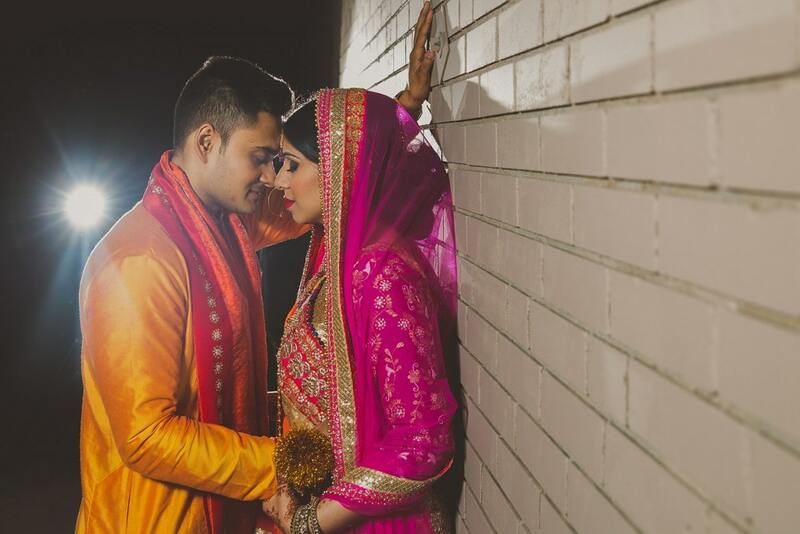 Our elegant bride donned authentic Bangla attire which paired beautifully with the orange Kurtha of her husband-to-be. 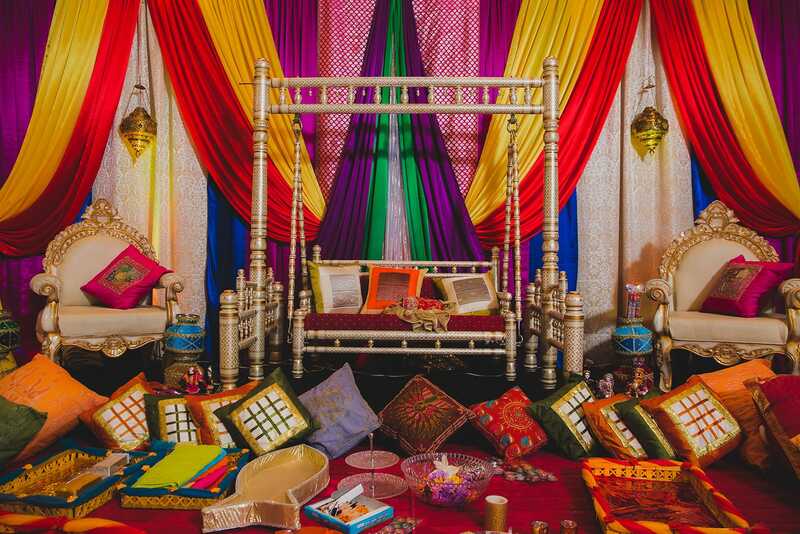 The colours were vibrant and rich. 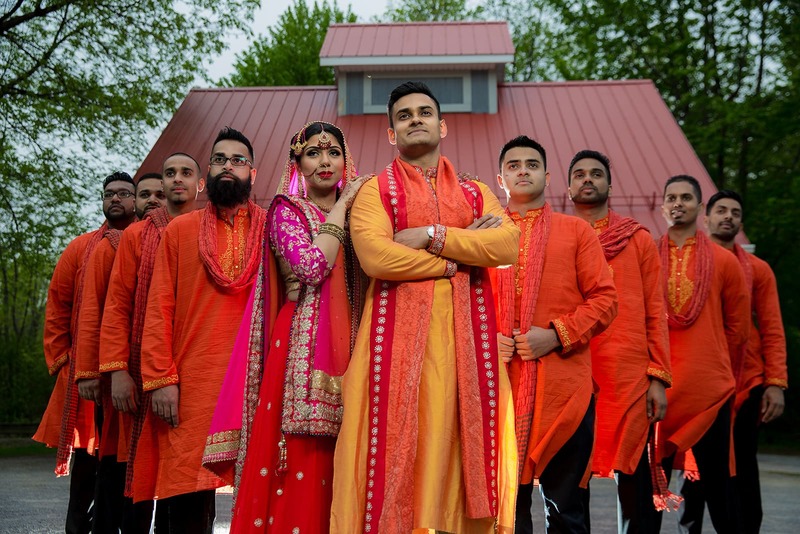 The outfits created a wonderfully traditional look that made us feel as though we were back in the time of the Maharajas. 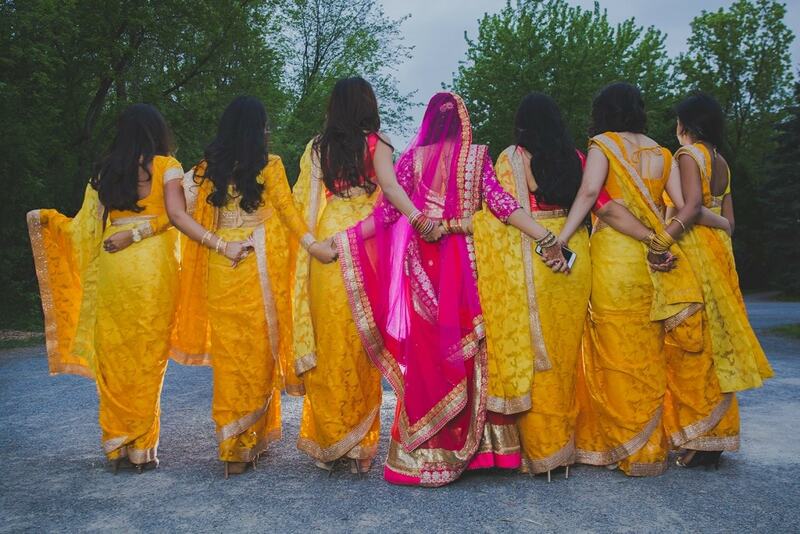 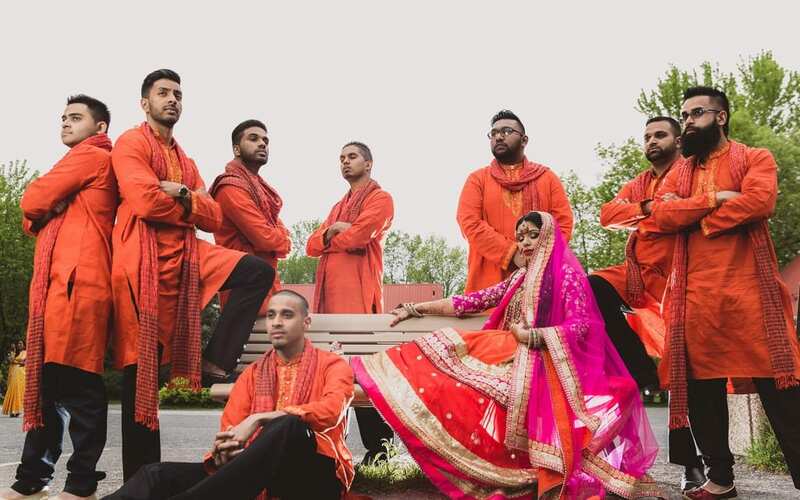 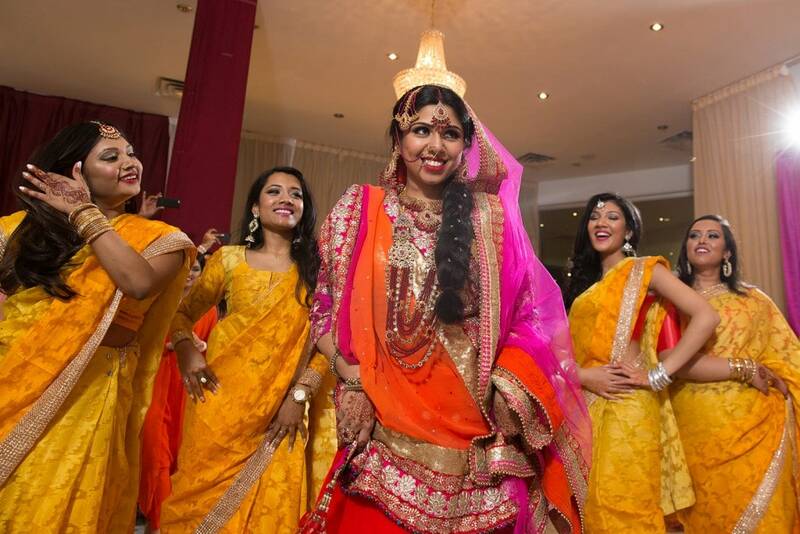 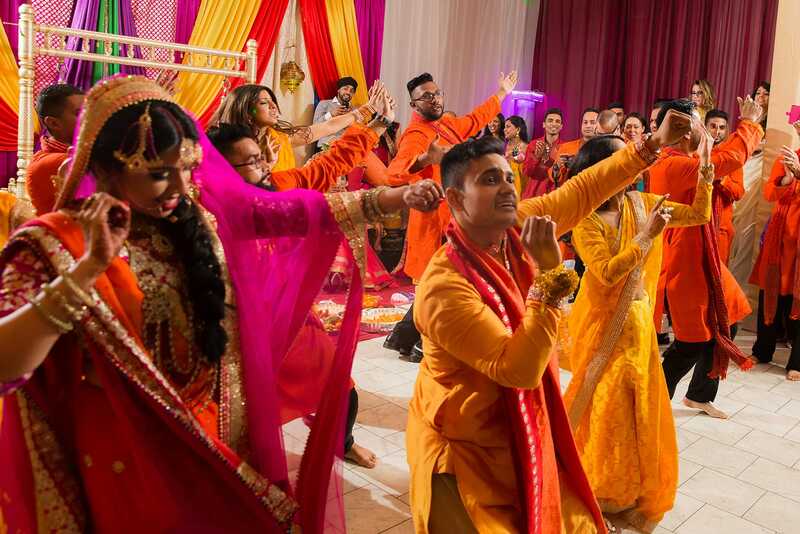 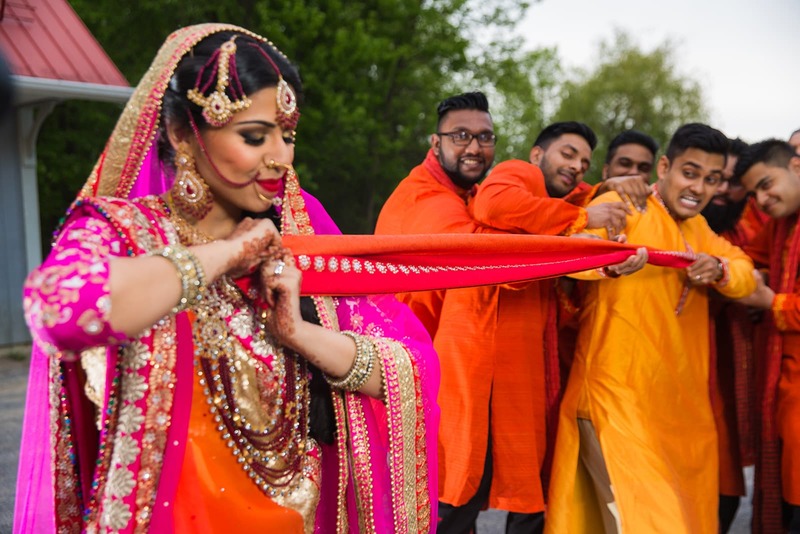 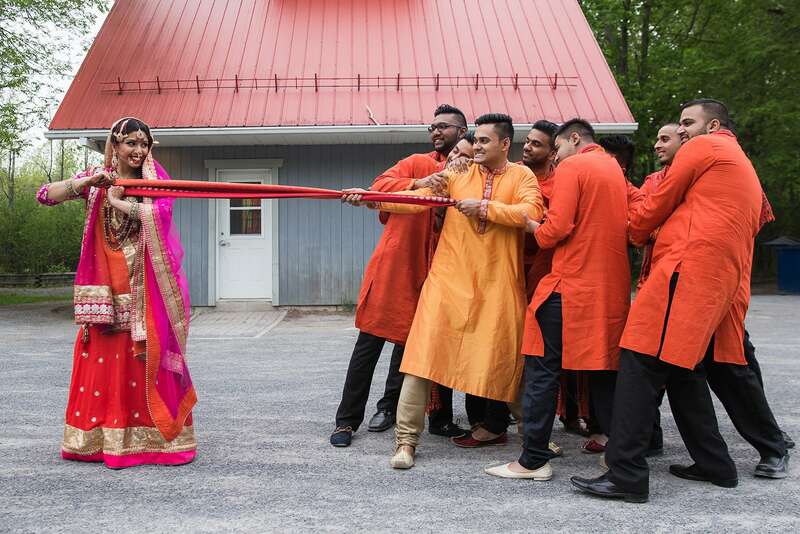 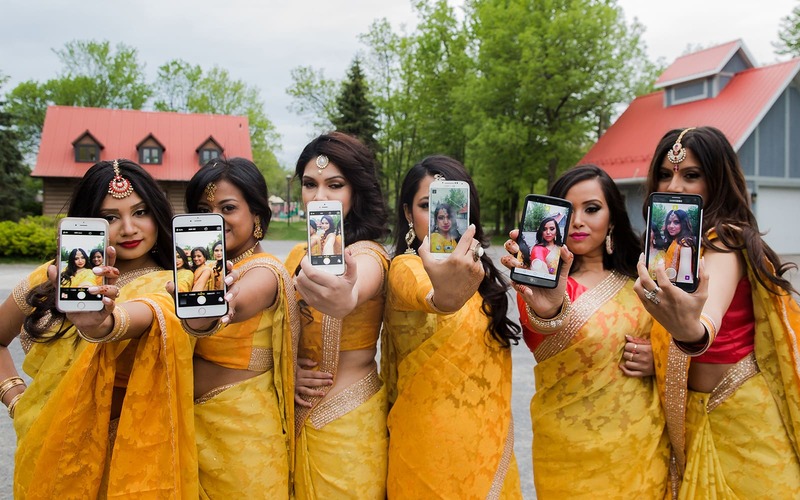 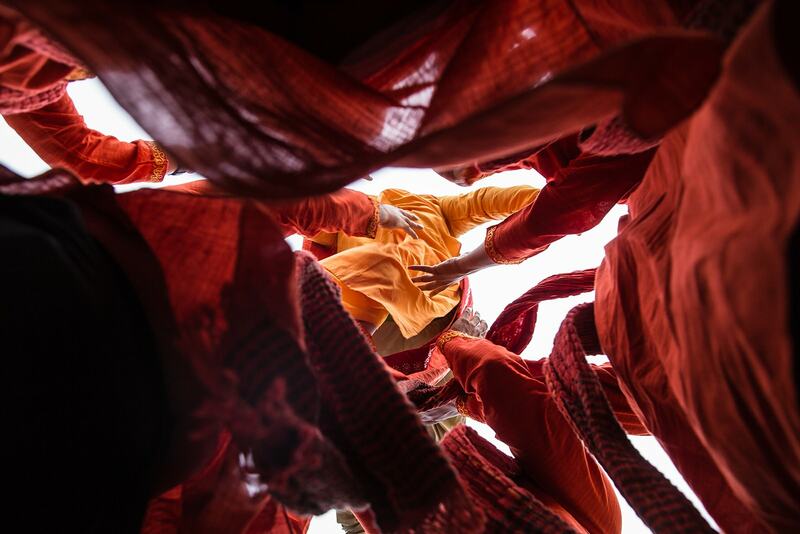 Bridesmaids and groomsmen in their sarees and kurthas created a sea of yellow and orange. 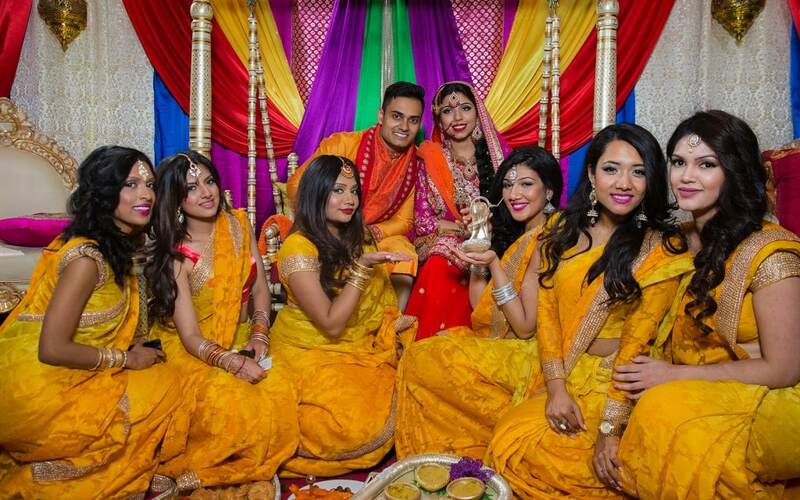 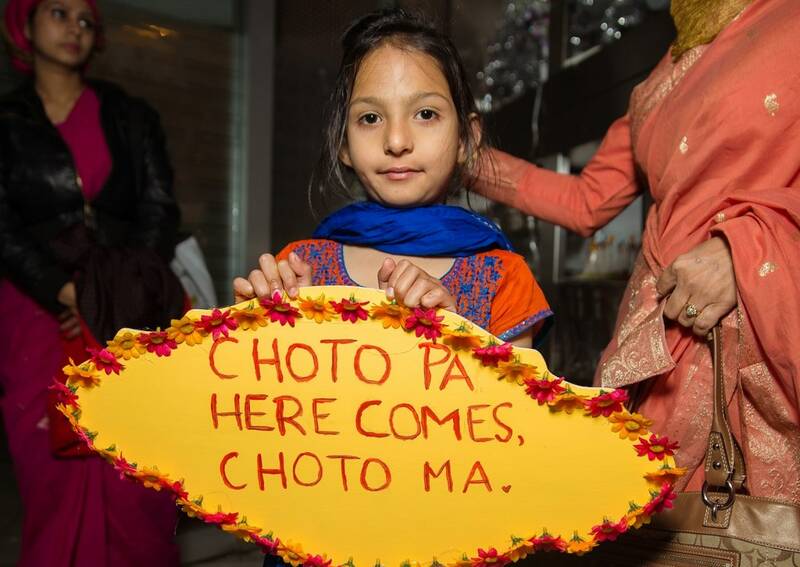 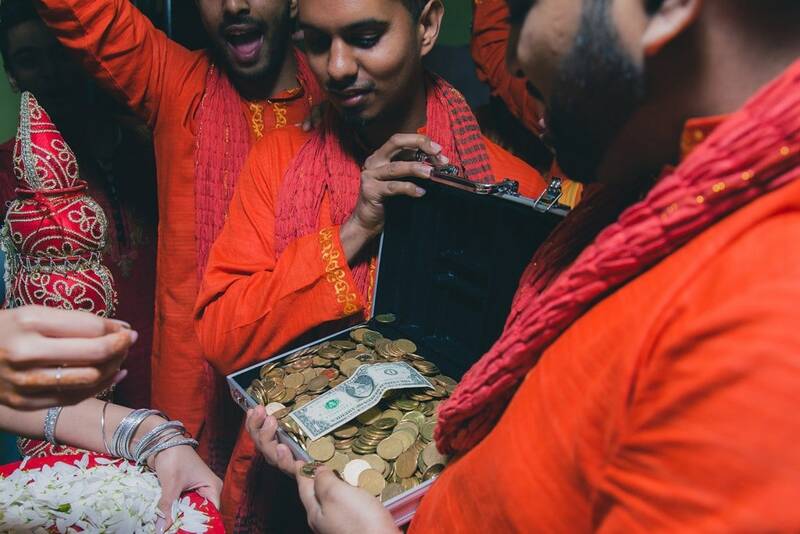 A traditional South-Asian wedding ritual is the Rasam (“Ritual”) of Haldi. 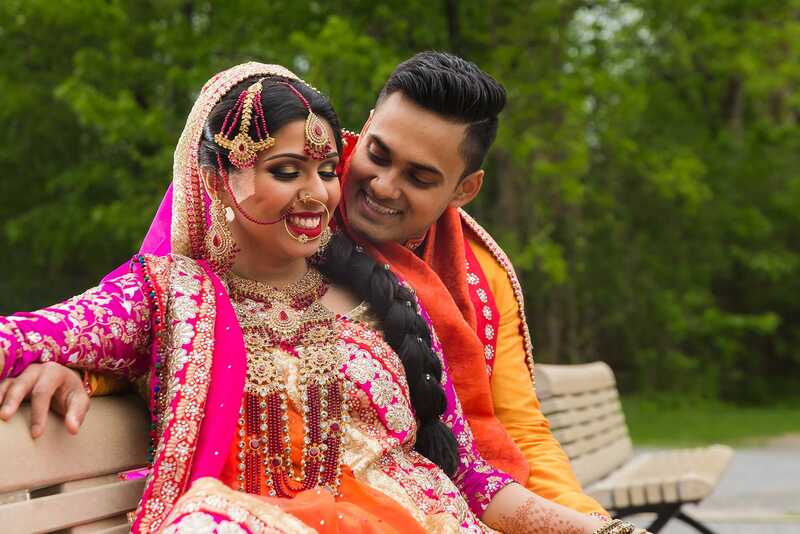 The tradition goes back to the era when cosmetics did not exist; instead, people relied solely on natural remedies as beauty product. 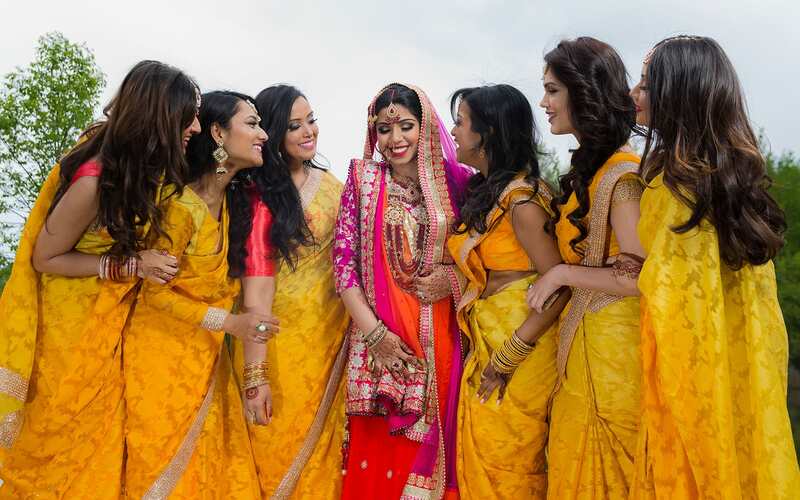 Haldi, a.k.a turmeric, possesses many medical properties which are great for skin care. 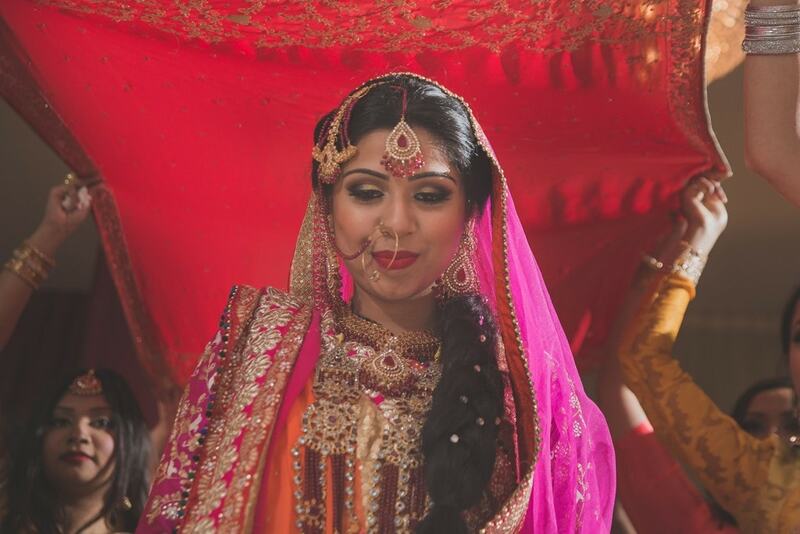 It is applied on the skin as a mask to create a beautiful glow for the Bride and the Groom. 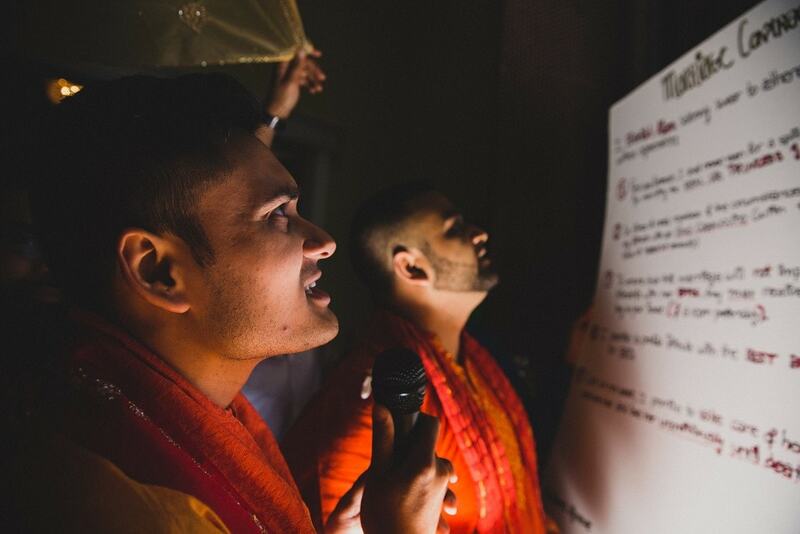 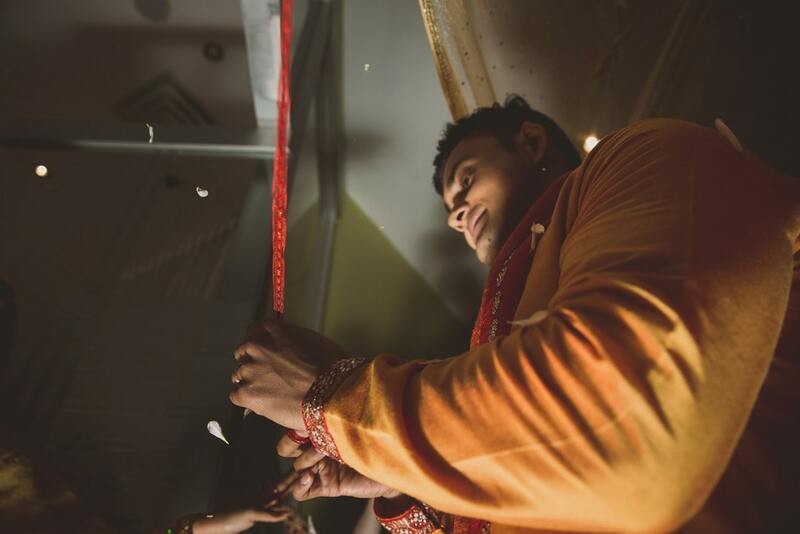 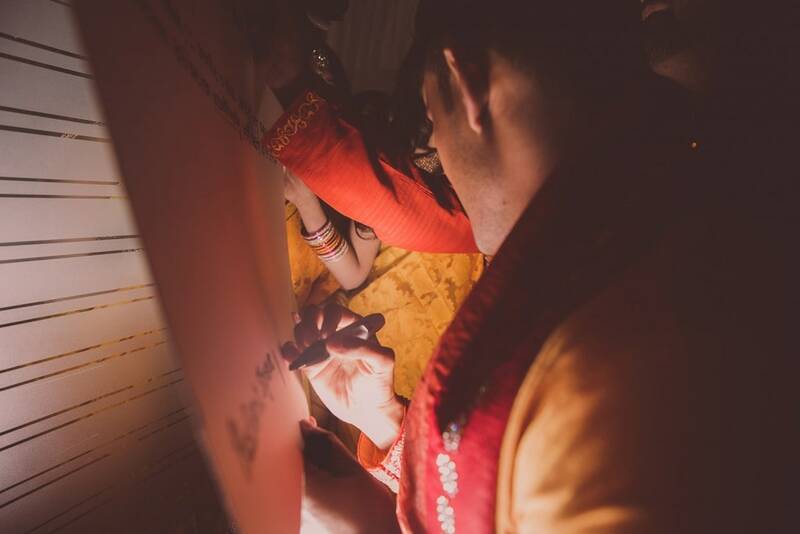 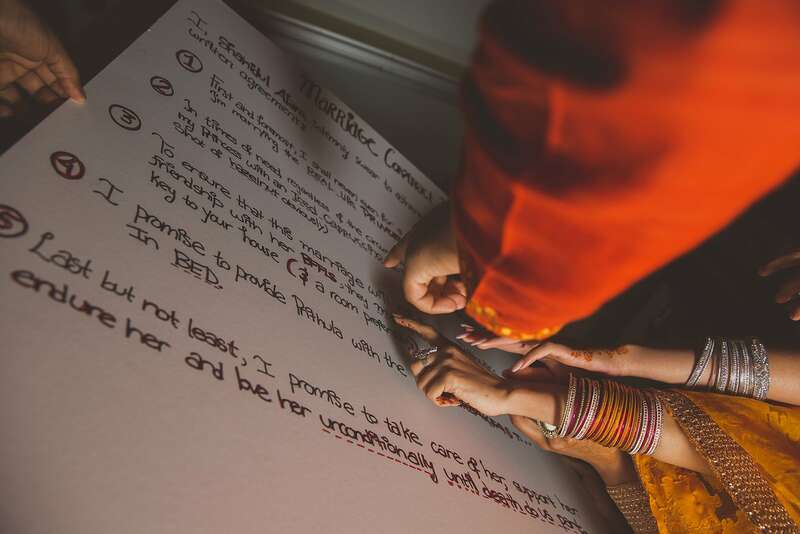 The ceremony began with the Groom signing a wedding contract and indulging in traditional Bangladeshi sweets. 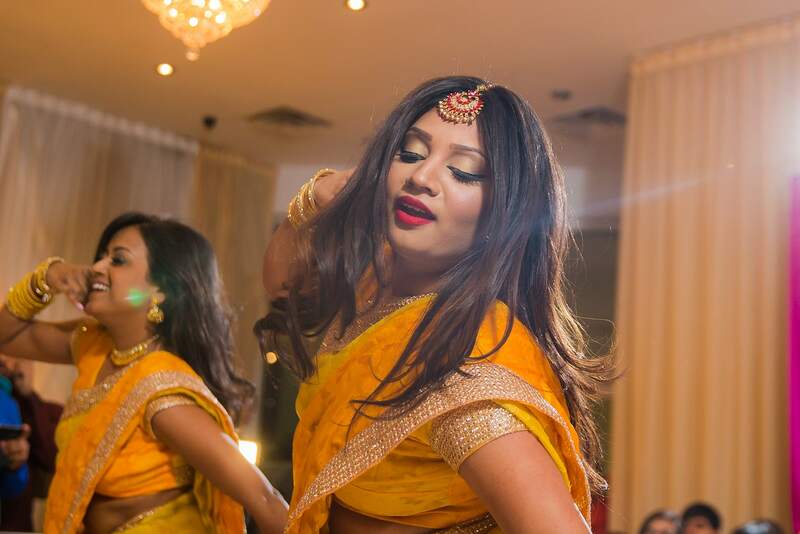 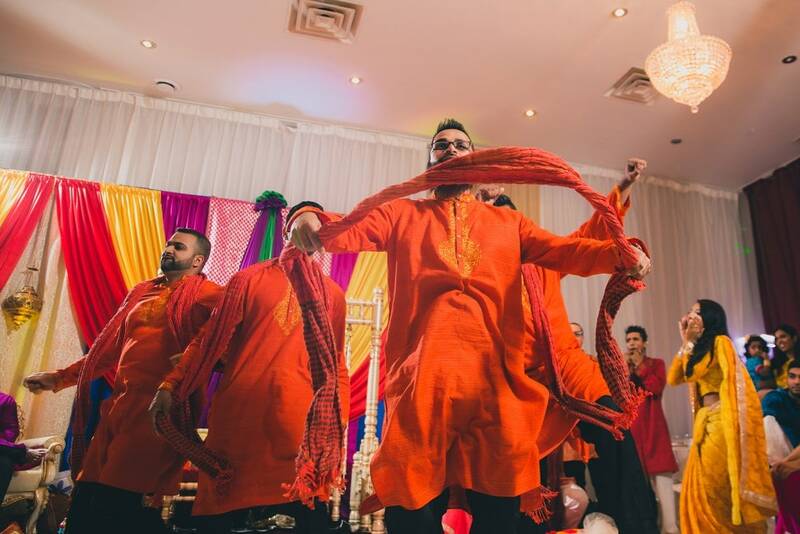 As soon as the Rasam of Haldi concluded, everyone shifted to party-mode and Bollywood tunes rocked the night!